FCBarcelona is more than just a club – is that true? Find out at the Camp Nou, Europe’s largest football stadium. 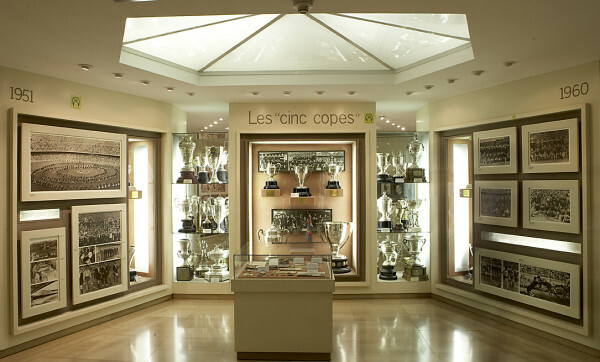 And learn all there is to know about the club at the museum: its history, championships and a myriad of anecdotes. Montjuïc Hill is the focal point of sports in Barcelona. 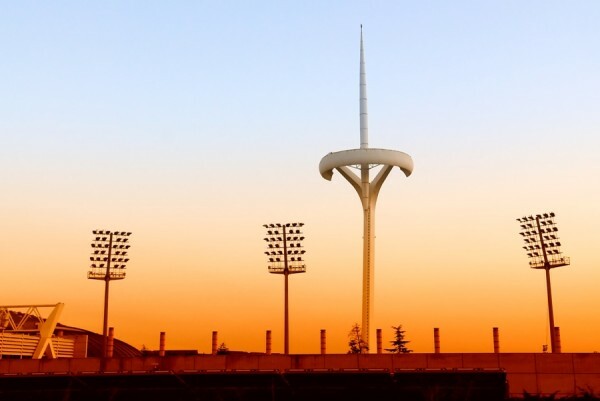 It all started with the 1992 Olympic Games and you will love to see how it transformed the city and it is all still in use: the Olympic Ring and stadium, Sant Jordi Sports Pavilion, Picornell Swimming Pools, amongst others. 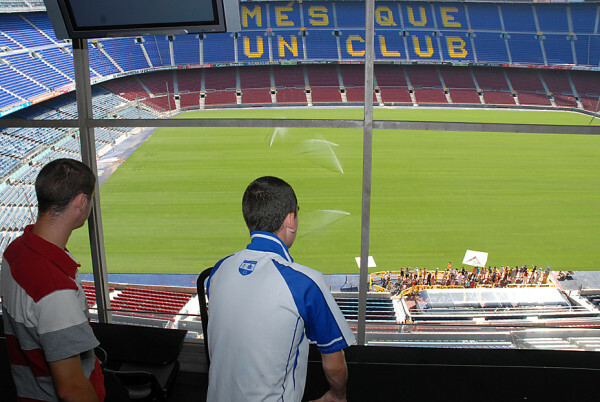 Skip the line and entrance fees to Camp Nou – FCBarcelona Stadium. Private transport by deluxe sedan or minivan depending on numbers. You choose: language, where to start and end the tour. FC Barcelona is more than just a club. Find out at the Camp Nou Stadium and FC Barcelona museum. Admire Europe’s largest football stadium and discover all there is to know about the club: its history, all its championships and and a myriad of anecdotes. Atention! Barça is short for ‘BARCElona’ but do not mistake it for the city. We only use ‘barça’ for the football club and it is pronounced “barsa”. Ladislau Kubala was Barça’s first icon in 1950, the legendary football player created such an expectation that soon the old football ground was too small: Les Corts. 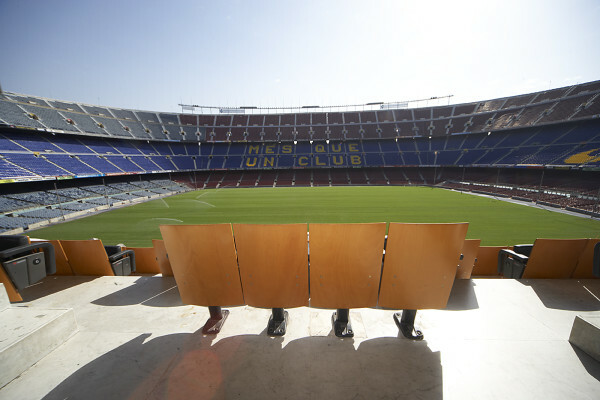 The new ground – Camp Nou – was opened in 1957 and has nearly 100,000 seats. The visit is worth it only to walk out to the vast stadium and imagine the crowd cheering Messi after a spectacular goal. You will be able to walk around, visit the changing rooms of visiting teams, see where the coach sits during a match, the press boxes, old photographs and the museum – with a collection of all the cups won during more than 100 years of competition. The giant store is also spectacular – you will have some free time at the end to have a look. Barcelona has not developed steadily but rather in leaps. One of these transformations was in 1992 – during the Olympic Games. 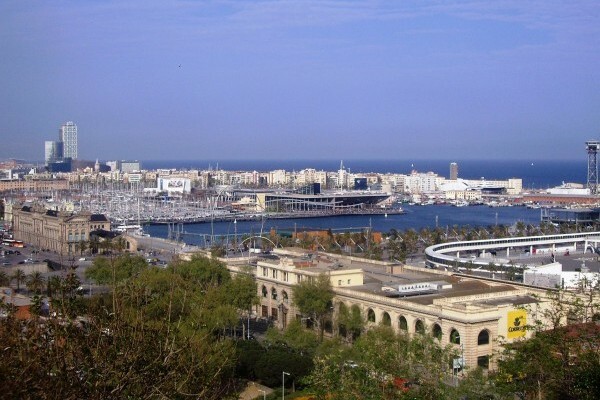 Since then, Montjuïc hill has become a focal point of sports in Barcelona, as well as a cultural attraction with several museums and Poble Espanyol. Olympic Ring & Stadium guided tour. Nerve centre of the 1992 Olympic Games and where the games were opened. Sant Jordi Sports Pavilion. built by the Japanese architect Arata Isozaki, the Olympic gymnastic trials were held here. INEF. Wrestling and Greco Roman wrestling were held here, now faculty of physical education. financed by Telefonica, the 120m tower is a landmark.